The richly atmospheric new historical thriller featuring John Gower, poet and trader of secrets. 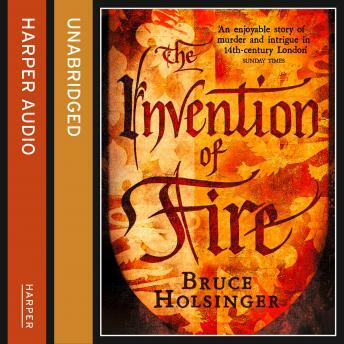 Set in the turbulent 14th Century, this is perfect for fans of C. J. Sansom. London, 1386: young King Richard II faces the double threat of a French invasion and growing unrest amongst his barons - and now there's evil afoot in the City. Sixteen corpses have been discovered in a sewer, their wounds like none ever seen before. One thing is clear: whoever threw the bodies into the sewer knew they would be found - and was powerful enough not to care. Enter John Gower, poet and intellectual whose 'peculiar vocation' is dealing in men's secrets. Against the backdrop of medieval London with its grand palaces and churches, dark alleys and mean backstreets, Gower pursues his dangerous quarry. Seeking insights from his friend Geoffrey Chaucer and using his network of contacts, Gower comes to the shocking belief that the men have been killed by a new and deadly weapon of war. Known as 'the handgonne', it would put untold power into the hands of whoever perfected its design. But who has commissioned this weapon? A man who would stop at nothing to achieve his secret goal.